We understand your need to find the right day care center where your child receives proper care, education, and attention. 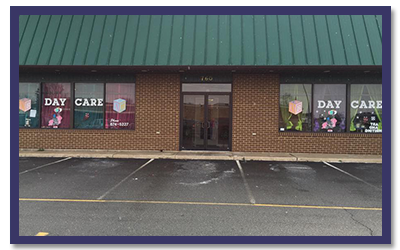 Give your child the best care they can get with our child and infant care services at Children First Learning Center in Dover, DE. A home away from home, we go out of our way to provide a learning environment that’s fun and safe where your child can feel at ease at all times. While you’re away, we are here to give your child a welcoming home as warm as your own. The vital period of building the foundation of your child’s education happens during the formative years. At Children First Learning Center, we offer child care services designed to reinforce your kid’s learning development. Following The Creative Curriculum, we tailor fit our educational programs based on what your child needs and ensure that they can reach their full learning potential. Your work schedule can sometimes conflict with looking after your children, which is why we are here to help you. Whether you need a day care center to see to your child before or after school, our team of child care experts is more than up to the job. We also provide nutritious meals should your child get hungry during activities. Call us if you have any questions regarding our services.